Barefooter Maria is as passionate and vivacious as it gets. She is a mum of 3 and Pilates instructor who is always on the move! We sat down with her to learn more about the things she loves most in life! You are a Pilates guru – what makes you so passionate about it and how did you first get started with Pilates? I found Pilates 14 years ago in a Fitness centre in Denver, Colorado USA. It was a big mat class and I just LOVED it straight away. After a few months practicing we moved overseas back to our home country, Venezuela, where there was certainly no Pilates classes available at the time, so I bought a DVD and practiced almost every single day. Back then my husband had a job with an international company and every two years we had to move countries to a new assignment. Every time we moved, my top-2 priorities upon arrival to our new location were to find a good school for the kids and good Pilates classes for myself. I loved our journey as a relocating family and amongst other things it allowed me to have many great Pilates experiences in different countries. I practiced in the USA, Mexico, Brazil, Romania and finally Australia. It was in Brazil were my curiosity to know more about Pilates reached the peak. I was fortunate enough to be in Brazil and become inspired by two great instructors. In 2009 I started dreaming about becoming a Pilates Instructor and opening my own Pilates Studio one day. It wasn’t until 3 years later when my family and I arrived in Australia to settle for good that I started to make my dream a reality. Just a few months after our arrival I started a program to obtain my Polestar Pilates Diploma. For those that don’t know – you studied Pilates in English and in Spanish. Tell us more about your South American heritage and your favourite parts of Venezuelan culture. I was born and raised in Caracas, Venezuela. I left 16 years ago and since then have lived in different countries. Spanish is our mother language and we eat the most delicious food. Lots of meat, corn, beans and great desserts! This is the bit I miss the most. Venezuelans are known for partying all the time and sad news is quickly transformed into a laughing matter to shoo away sadness. We dance, we talk, we laugh and we consider everybody a good “Friend” by default. I completed my Pilates diploma in English, which is my second language, but I have since equipped my library with some manuals in Spanish as well. I studied them and gained confidence with all the Pilates terminology in both languages, so now I run classes in both English and Spanish. You are a busy lady with 3 children – how do you find time to fit everything in and keep learning and developing your skills? Is there anything special you are working on right now? I have a great team between my husband and kids. They understand Pilates makes me HAPPY so they are very patient and supportive. I (tried to) organise myself and aim to allocate all my work / study time inside school hours so that after 3 pm I can be just a mum. Nonetheless, often there are certain events, training and workshops of interest on weekends, so I try (still trying) to be more organised than usual then… pre-planning meals is a big one so that no one is starving or cranky when I get back. There are usually planned activities for that weekend, so the kids can have fun with Daddy while I am not around. I must say I am really blessed with a very supportive family. Anything Interesting you want to share? 1. I am only 150cm tall. 3. The ocean gives me peace. 4. I have moved houses 17 times in 41 years across 8 countries. 5. I speak 4 languages fluently…Spanish, Portuguese, Italian and English. 6. My favorite food is Pizza (Italian style). 7. My favorite part of my body are my arms. 8. I don’t like cold water, so I haven’t dare to have a swim in the Australian beaches. 10. My daily goal is to be a better version of me for the day. 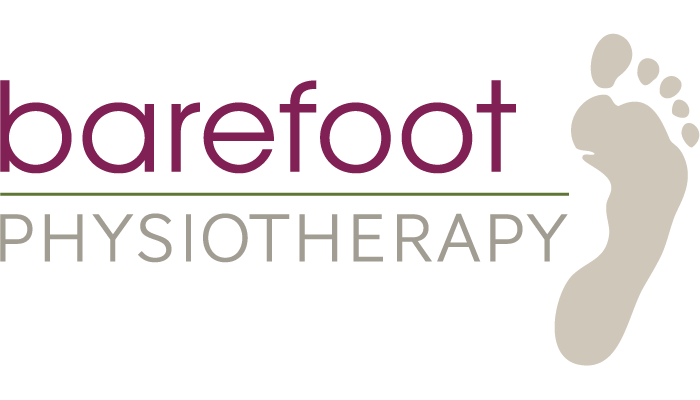 To find out how you can start living your barefoot lifestyle pain free, click here. http://www.barefootphysiotherapy.com.au/wp-content/uploads/2017/11/pilates-pic-3.jpg 3944 2684 Darren Boman http://www.barefootphysiotherapy.com.au/wp-content/uploads/2017/03/Barefoot-Physio-Brisbane-South-Southside-Brisbane.png Darren Boman2017-11-23 12:47:252017-11-30 09:36:51Pilates Guru, World Traveller and Mum - meet the incredible Maria!